Consultation and understanding our customer’s needs is the first and most critical step to every project. From maintenance plans to complex landscape design and installation, Artistic Outdoor Landscapes approaches every project with individual care and consideration. Our primary goal is to take our customer’s vision and turn it into reality. We aim to exceed expectations and create landscapes that will be enjoyed for years to come. After listening carefully to our customer’s vision and maintenance preferences, we access the property to determine variances in the landscape (sunlight, soil health, erosion, etc). Our team’s field expertise ensures that the right plant material is selected for each design to ensure each has a long life span and the overall design matures beautifully in the future. Proper installation is key in protecting your investment. From start to finish, Scott and team work with a high level of attention-to-detail to ensure that each customer is happy with the final product. 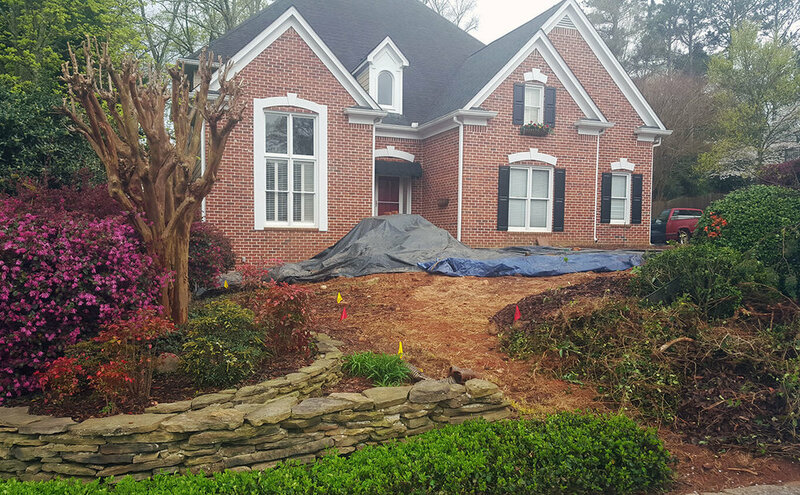 Our professionals are skilled at installing mulches, gravel, shrubs, trees, sod, ground cover, flowers and more. We can help you create beautiful spaces in your landscape to relax, entertain or simply take in the fresh air. Whether it’s a patio, fire pit, water feature or something else you have envisioned to help you fully enjoy your outdoor living space, Artistic Outdoor Landscapes can help make your vision reality. Regular maintenance is key in keeping your landscape looking beautiful year-round. At Artistic Outdoor Landscapes, we work with our customers to develop individualized maintenance programs that work with their needs. Artistic Outdoor Landscapes can help further your investment by adding low-voltage lighting features to your landscape. Creative outdoor lighting is aesthetically pleasing and allows you to enjoy your landscape both day and night. Our team can both design and install outdoor lighting to meet your property’s needs. Our team can help you save both time and money in the long-run by installing an irrigation system on your property. Poor watering habits can lead to decreased growth and dying plant material. You can protect your investment by contracting with Artistic Outdoor Landscapes to install a new irrigation system or refurbish an existing one.